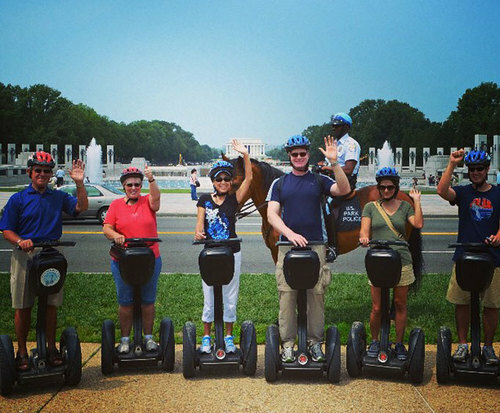 Visit major Washington DC monuments and memorials on a fun Segway Tour. 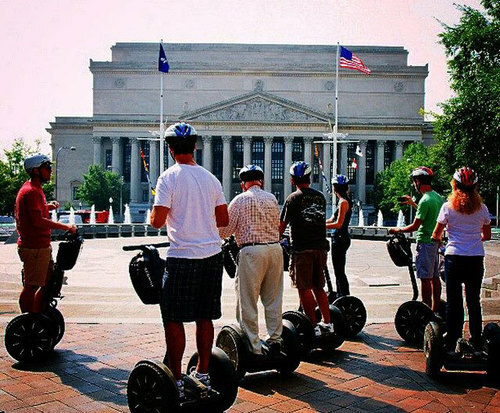 Experience the excitement of riding a Segway in Washington DC, visiting the city's beautiful parks, monuments, landmarks, and other attractions.This guided tour will take you on an extensive and scenic view of the city to hotspots as well as lesser known areas. Bring a camera to snap shots of the White House, Washington Monument, and the State Capitol where the country's decisions are made. On Pennsylvania Avenue, you'll check out the FBI building, National Archives, and the Navy Memorial. Marvel at the grandeur of the Smithsonian Castle and the National Galleries of Art. These landmarks are just scratching the surface of all that you'll see during this fun activity. Riders must be at least 16 years old, with a recommended maximum weight of 260 pounds. Choose between a two-hour and a three-hour tour depending on which best fits your vacation schedule. Both will travel to DC hotspots, but the three-hour route will hit some extra spots. Before the tour starts, you will receive a 30 minute orientation to get you used to riding the Segway before you depart on the city streets. 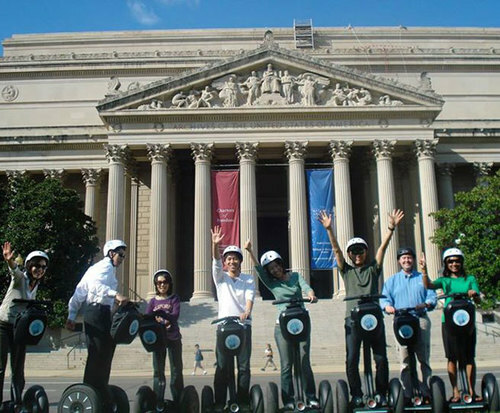 You will have a thrilling time exploring Washington DC in comfort and style with the Washington DC Segway Tour. Riding segways are so fun! Dc is so beautiful and taking a tour on segways will be amazing! We had a fantastic time even with the government shutdown. Our guide, max, was both funny and informative. My adult children had such a wonderful time they can't wait to find other segway tours in other cities. We were all afraid at first but the training and guides were wonderful. We all became pro segwayers very quickly. I highly recommend everyone who comes to dc to take this tour!!! Boy, this was fun! At 65, i was uncertain whether i'd be able to control the segway, but after a very short time (like, 30 seconds) i felt more than comfortable. By the end of the tour i was an old pro! The tour was great as well. Andrew, our guide, was a recent theater graduate from gwu, and thus highly entertaining. He was knowledgable and approachable. The tour itself was brisk, without much time available to stop and really take in the sights, but that wasn't its goal, so i can't complain. Highly recommended for all ages! Great tour! Very good training and support. Guide was very helpful and well informed. Would do it again and again.